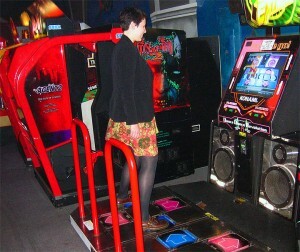 Last night, for the first time ever in public, I did DDR. Need I say more? And yes, I am a big dork. aha! I’ve already bested your sister in freestyle dance. now we shall dance revolution for control of the universe.